If you prefer the traditional way of barbecuing along with the smoky and chargrilled taste then a charcoal BBQ may be the way forward for you. 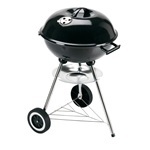 The food on a charcoal BBQ will get this flavour as the fat and juices from the meat drip onto the hot charcoal which then vaporises into smoke to flavour your food. 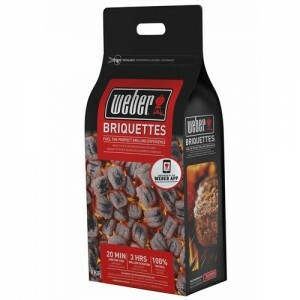 Charcoal does take a lot longer than gas BBQs to heat up and the temperature can’t be easily controlled either, so it can be quite challenging to make sure all your food is cooked properly and not overcooked or undercooked when cooking with charcoal. 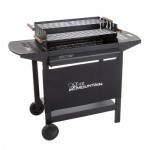 Consider an electric BBQ if you prefer something more portable. 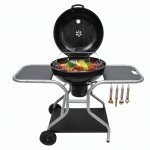 The fact that charcoal BBQs take a lot longer to heat up should not really be a major issue as most people will only have a BBQ when the weather is nice anyway, so you’ll be sitting out in the garden enjoying the weather either way. 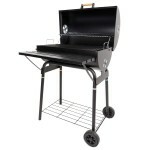 Barbecues are also usually planned ahead so you will know to allocate time to allow the BBQ to heat up. Another way to cook your favourite meat and veg in a slightly different fashion, but it’ll also allow you to cook pizza, is to opt for an outdoor wood fired pizza oven. 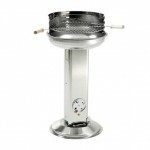 These can either come as whole units, essentially being a substitute for a charcoal BBQ grill, or, as a portable BBQ pizza oven which sits on top of your BBQ. 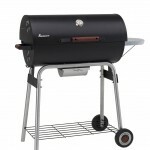 If you’re on the hunt to find the best charcoal BBQ to ensure your guests will shower you with compliments, then below are a few things you should look out for. Once you’ve found your favourite charcoal grill then make sure you’re all tooled up with a BBQ tool set which will pretty include everything you need. Thermometer – As it’s harder to control the temperature, having a thermometer will help you know whether the food is being cooked at the correct temperature or whether you need to add more charcoal to increase the heat. Hood/lid – Having a hood or lid will trap the heat and speeds up the time it takes to cook your food. Warming rack – As you’re not able to adjust the temperature so easily like you can with a gas BBQ, you can place food that cooks quicker than others on the warming rack so it doesn’t get cold or overcooked. Charcoal/ash collection tray – Once the party is over unfortunately there is some cleaning to do. 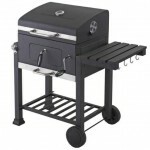 Charcoal BBQs leave behind charcoal and ash to clear away, if the BBQ does come equipped with a charcoal/ash collection tray this will make cleaning easier. Preparation space – This will allow you to have additional space to prepare food or anything else you need the space for. 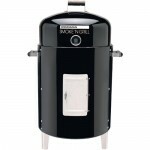 This way you can have everything you need to cook up a mean BBQ within arm’s reach. 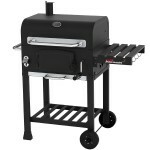 Cover – Having a cover for your BBQ will help prolong the life of your BBQ and keep it in good condition. If you plan to keep your BBQ outside then it’s worth getting a BBQ cover as it’ll also protect it from any weather elements. Remember to check the size of the cover to ensure it’ll securely fit over your BBQ. Your food will have a nice smoky and chargrilled taste. Lighter and easier to assemble. Takes up less storage space so easier to store away when not in use. Charcoal will take a lot longer to heat up. Temperature can’t be easily controlled. More cleaning to do after as there’ll be ash to clear away. Coals must be replenished around every hour. 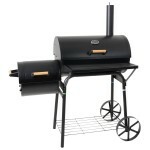 There are two main types of charcoal you can use for your BBQ, we’ll list the pros and cons of each one so you can decide what one is best for you. Lights quickly and burns hot. 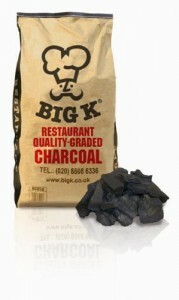 More expensive to buy than standard charcoal. Does not burn for long enough and losses heat quite quickly. Burns hotter and longer than lumpwood charcoal. Cheaper to buy than lumpwood. Takes longer to reach maximum temperature.